Given the character limitations, your Twitter bio by default is a very succinct, clear way of stating who you intend to be on Twitter. How you craft yours may reveal a thing or two about your true self – or at least your personal branding goals. Are you looking for a few good bio ideas? Do you like funny bios? Or, are you more presidential? Remember: your bio is usually the first thing people see when deciding whether to follow you on social media. Like it or not, it’s your elevator pitch that is immediately judged by what you write in your bio. What it means: You hardly ever sleep. This Twitter bio art form, tweeters tell their life story in the space of 160 characters. @SarahKSilverman: We’re all just molecules, Cutie. What it means: You have a considerable following and impeccable online etiquette, and you’d rather not weather the backlash when you tweet obsessively about something. How do I write my Twitter bio? You have exactly 160 characters (thanks Twitter for the extra 20) to explain to the Twittersphere who you are, what you do, and why your Twitter is worth the follow. First step: Figure out how you are going to stand out. A good bio has a mix of a profession as well as personal. Share something that will connect you with your audience. The key is to find the right balance between personal and professional. The professional side gives your credentials while the personality side shows an insight into who you are as a human being. It gives a potential follower something they can latch on to talk to you about. Keywords are super important when people search for you on Twitter. That means the strongest Twitter bios usually contain targeted keywords. What is your target audience searching for? What is it about you that will attract them to want to follow you? Write a bio that will motivate others to follow you on specific topics, those you most often tweet. Use keywords and be direct. – Michael Dobbs, Group Director of SEO at digital marketing agency 360i. 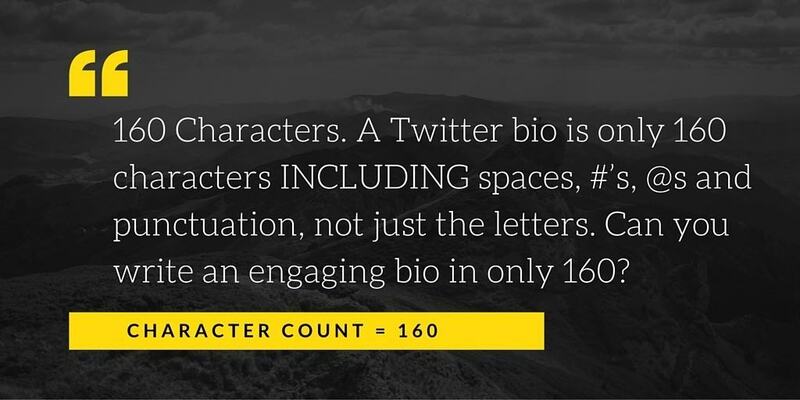 Your Twitter bio is only 160 characters long! Not a period more. It’s your elevator pitch on steroids. Don’t waste it! Ask yourself, do you really need to mention your passion for #lovebacon? Keep in mind that you don’t need to use all 160 characters! Talk about yourself – don’t worry, it’s not considered bragging in the Twitter world. That’s “sort of” the idea of a bio. Don’t worry about not following conventions – be yourself. You don’t have to use descriptors. You can use sentences. Twitter bios can help people branch out into various facets of your identity. Emojis: Twitter, like Facebook and other social networks, allows you to enter any emoji supported by your device in posts through their native Android and iOS apps. You can use any emoji in the body of your tweets. However, you can only use a certain number of emojis in your Twitter name and bio. Click here for a list emojis that will work in your Twitter name and bio. Hashtags: For example, if you are an “SEO” expert, you can add “#SEO” to connect your bio to mentions of #SEO on Twitter. @s: If you work at a company, have started a business, or are otherwise related to some other Twitter accounts, link to them. 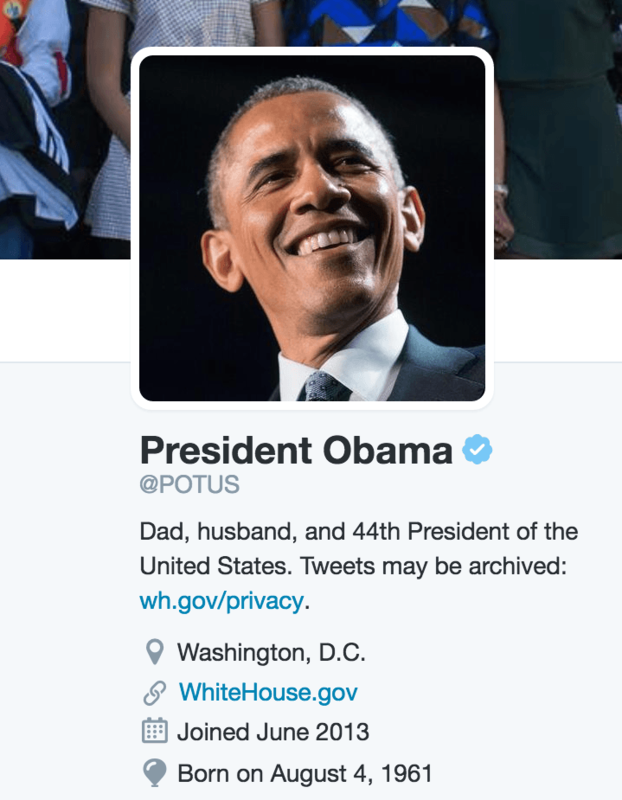 Links: You can add outbound links to your Twitter profile, too. Be aware that they can take up valuable character space. Use your bio to tell everyone on Twitter exactly what you do — or even better, what you believe in! Instead of telling people about your work, tell people what you do. Differentiate yourself from others in your field. 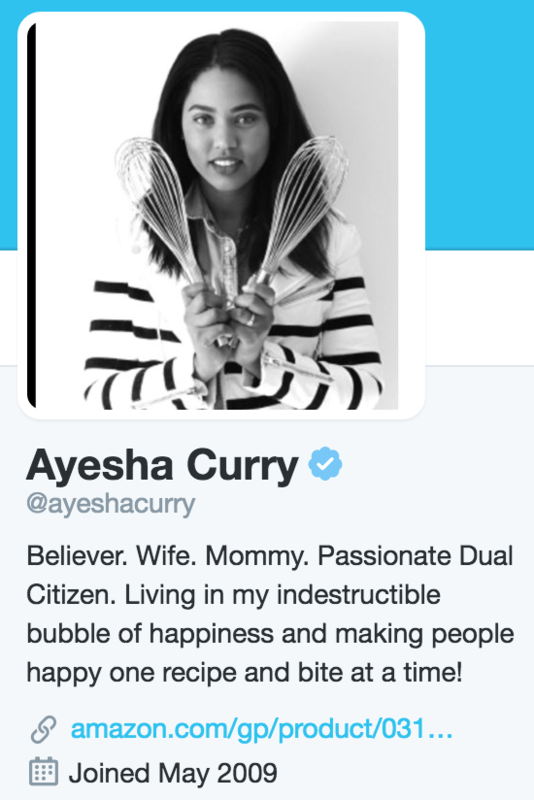 Here’s an example of Ayesha Curry’s Twitter bio. You would be pressed not to know what Ayesha is passionate about. Including your business name is very useful when potential customers search for your company on Twitter. Your business name is also useful when candidates search for your company. If your bio contains your employer’s name or Twitter handle, you’ll appear in the search results when people search for that business on Twitter. Twitter is a place to generate excitement and buzz. If you consider yourself boring, Twitter is not the place to show it. 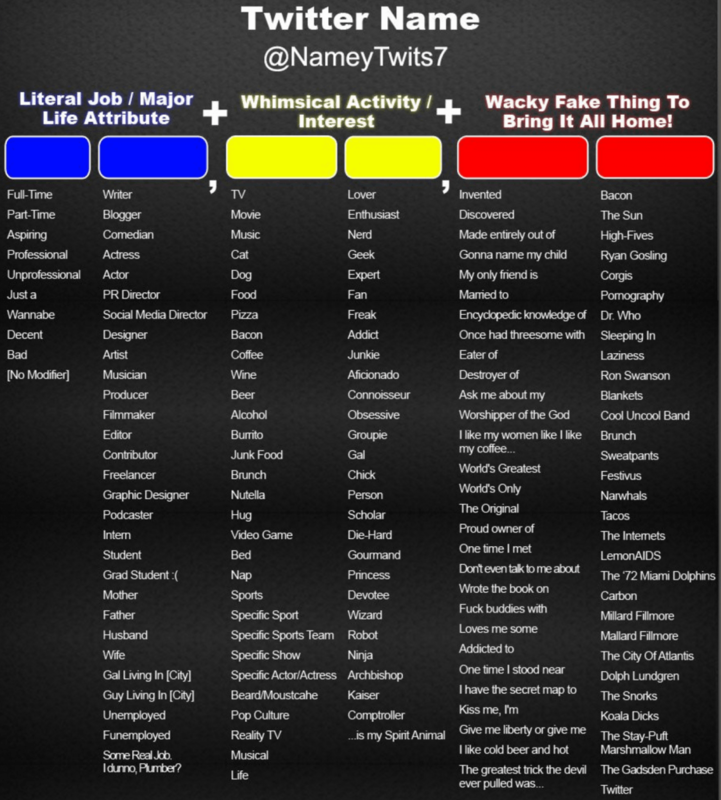 Add some pizzazz to your bio with an upbeat tone and optimistic verbiage. 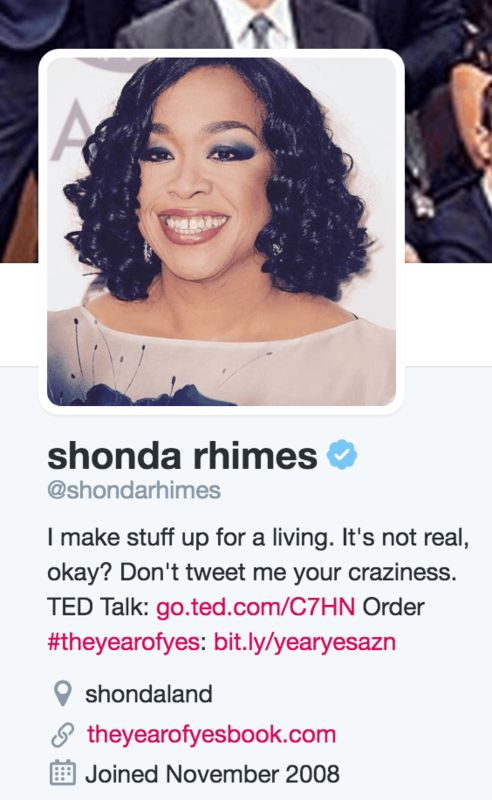 Make sure to mention significant awards and recognition in your Twitter bio (e.g., best-selling author). This social proof can be a great conversation starter. A little humor will go a long way for getting people to remember you on Twitter. 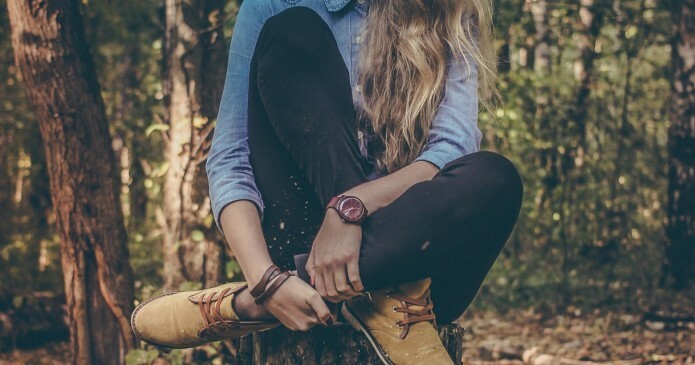 For inspiration, check out these 38 Incredibly Amusing Twitter Bios from HubSpot. Need some extra help? Check out the following Twitter bio generator. I wouldn’t put much stock in the outcome (it always changes) but it’s fun to try and may get your creative juices flowing. 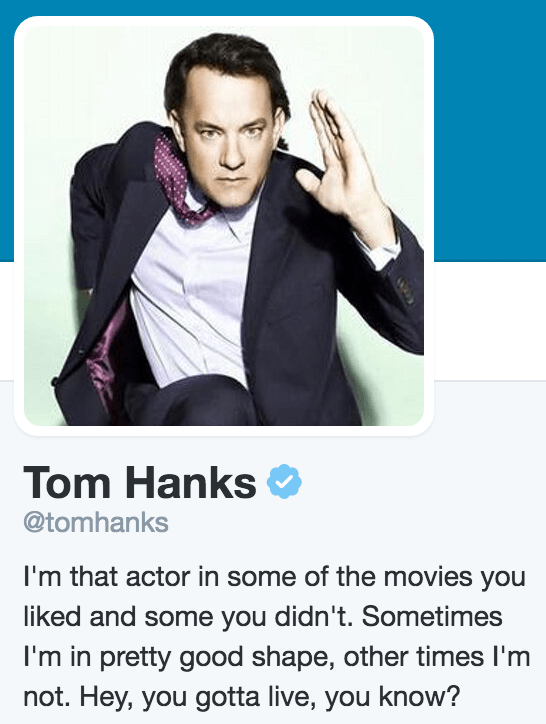 Having trouble coming up with an informative yet whimsical Twitter bio? Just use this handy three-step guide and you’ll be a Twitter Pro in no time! 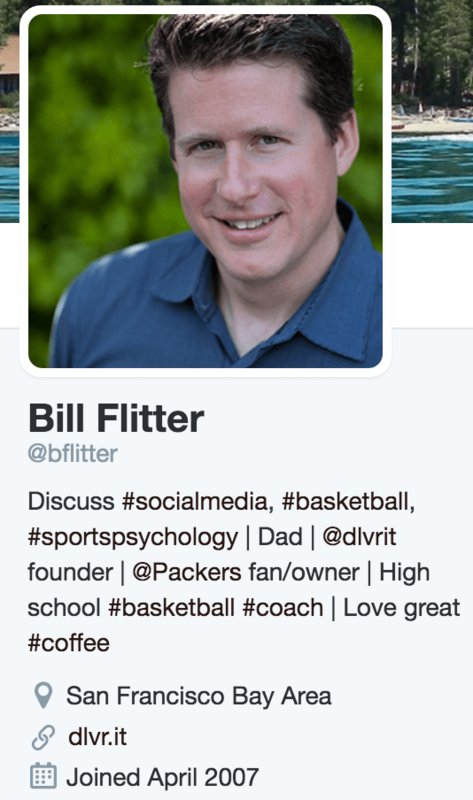 Does your Twitter bio tell your story? We’d love to hear from you. We also like funny bios. Truthfully, any great bio ideas. Please share bio examples in the comments! Thank you for such a great post, Debra. I learned a lot from reading this one. Everyone at Post Planner thanks you! Have a wonderful day.